Please register to include your details on this page | Database of all BAS winterers | Who runs Cool Antarctica? The ship was built in 1954 by Solvesborgs Varv A/B at Solvesborg (Southern Sweden) originally named "Arendal". She was renamed "Shackleton" in 1955 and was known as this until 1983 when renamed "Geotek Beta". She was renamed again in 1984 to "Profiler", this was then amended to "Sea Profiler" in 1992. She was scrapped in 2011. Paul Bennett (1975) - Cardiff S. Wales I would love to contact captain Roger Chamberlain I sailed with him in 1975. I joined the shack in Djibouti pantry boy and roger helped me through a tough time and visited me in Llanrumney when he paid off/get in touch Roger I would love to catch up with you. Terry Betts (TSB) (1966-69, 4 seasons), London email Look forward to hearing from anyone who knows me. R W Forrester - "Nature Boy" (1956-57) - Washington Tyne and Wear. Spent the night aboard in my old cabin before she was scrapped in 2011. Dave Hooper (old Biscoe 54/55/56 + Shack 57/58/59) - Southampton email For all you Geordies who were on board the Shack in the fifties all I remember is good times. I was particularly friendly with Harry Sinclair and still enjoy Newcastle Brown Ale. Hope to hear from someone who remembers me. Regards Dave. 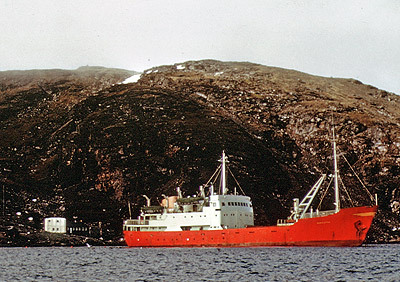 H.
John (Jack) Neillis - (1973/1974) - Crieff, Scotland email Sailed on "RRS Shackleton" from 1972 to 1978.I was in the engine room as a donkey/greaser. 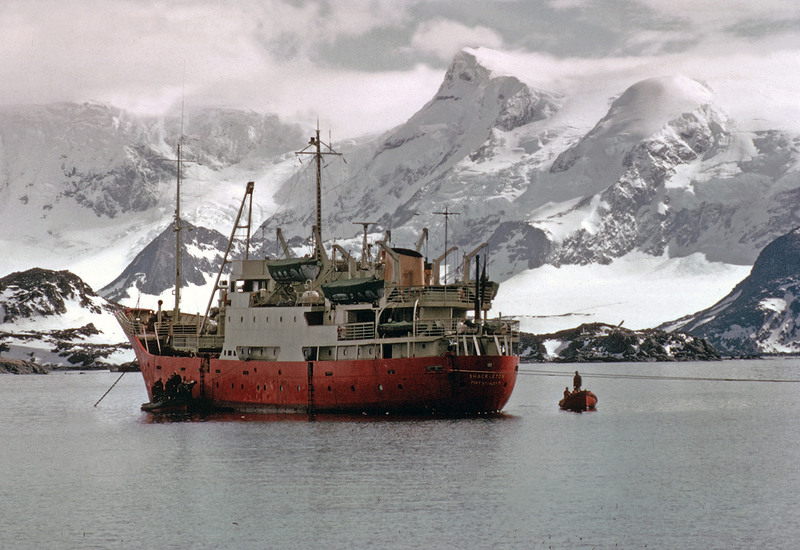 Antarctic trip was 1973/74.Captain was George Selby-Smith. Will be delighted to hear from anyone who may remember me. Rodger Chamberlain, now master of "DISCOVERY" was deck-boy around that time. Barry "The Dreamer" Terrell (1966) - RRS Shackleton. Southampton. There were 3 messboys, Colin Beard, Dave "The Flea" Follett who moved to Australia and unfortunately died there, and myself. 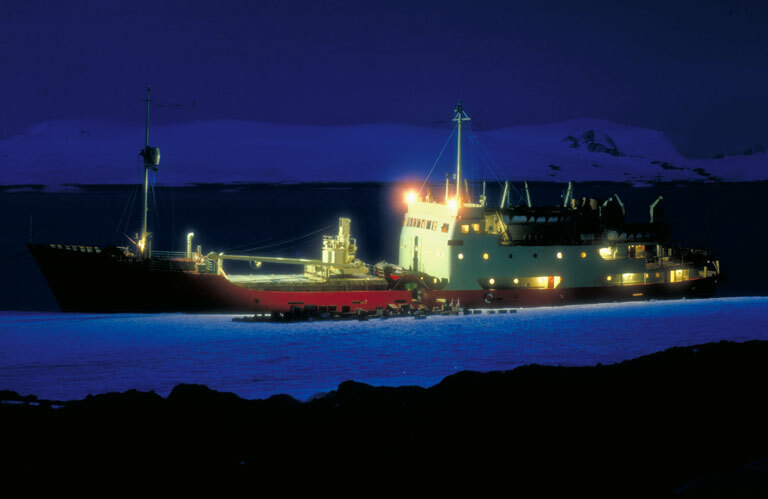 Sue Dowling (2003) - King Edward Point, RRS Ernest Shackleton. email Evesham, Worcs. 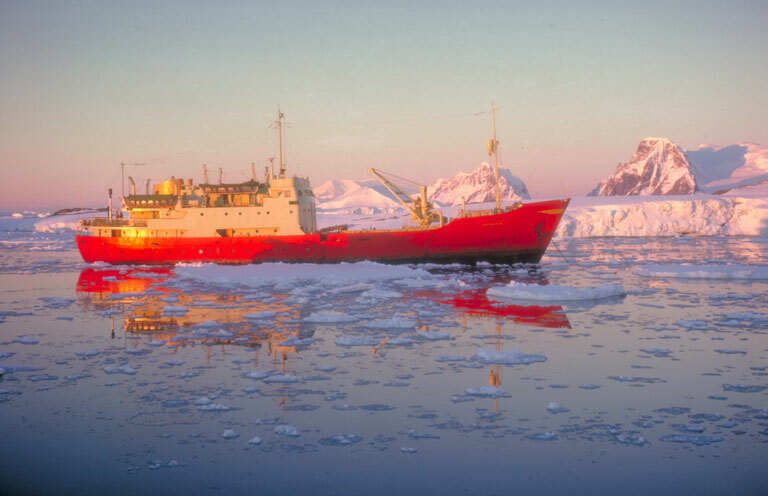 Wintered at KEP 2003, then spent the following season as ship's doc on RRS Ernest Shackleton (lucky enough to visit bases A, B, BI, F, H, J, M, O, R, W and Z - oh, and X lots of times...). Enjoyed it so much I spent the 2004-5 summer season at Port Lockroy with two hairy blokes. Bjorn Larsen (Kista Dan Halley Base Z - 1960-1962) - Denmark I want contact to someone about Haley base Z!, and someone who has seen (even foto) Kista Dan.